his type of castle usually had one entrance defended by gatehouse. As the gatehouse was the only way to enter the castle, it would have been focused upon during an attack. 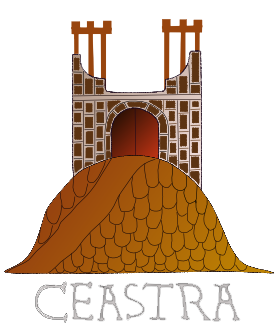 During the construction of a castle the gatehouse was usually the first part to be completed. This was because the castle builders were probably building in an area where they were in danger of being attacked. In earlier times the gatehouse may have been the strongest part of the castle, but the majority of them were built of wood and at risk from fire. If the owner of the castle was rich enough or there was a local supply of rocks, the gatehouse could have been built of stone. 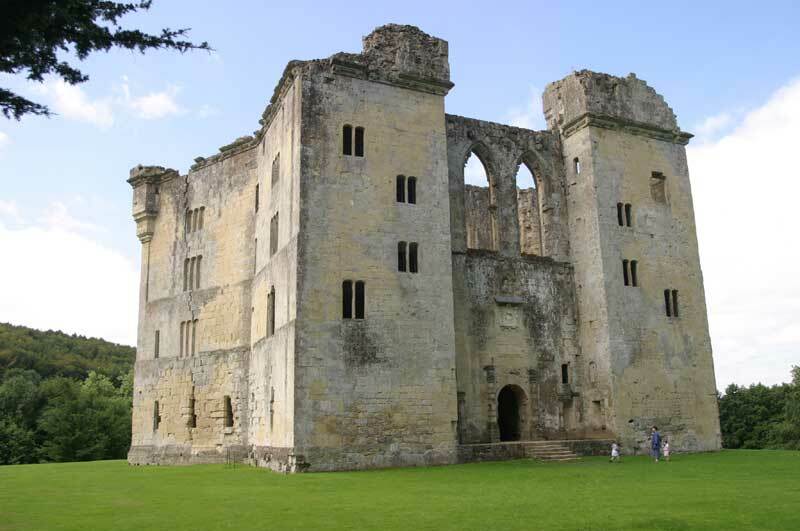 Most castles of this type had only one entrance and the defenders could easily find themselves trapped if the single gatehouse was captured by attackers. To overcome this problem some castles were built with more than one entrance. Most castles had a small hidden gate called a postern. The postern allowed a single defender the means to escape and raise the alarm if the castle was under attack, or allow a small band of soldiers to leave the castle and mount a surprise attack. The mound on which the keep was built is known as a motte and was usually placed to one side of the bailey. Why the designers decided to build mottes is not known, but a keep on top of a mound was a safer place to be in case of an attack. If an existing mound was not available it appears that the castle builders went to the trouble of building their own. If the motte was strong enough the wooden keep could have been replaced by a stone building. A stone keep offered much better protection from attack than a wooden keep that could easily be burnt down. Usually the motte was cut off from the the bailey by its own ditch and could only be reached via a causeway or bridge. The bridge would have been designed to be defendable against attack and possibly retractable using a drawbridge. At times of attack the motte and keep were the last line of defence if the attackers managed to get into the bailey. The defenders could shoot arrows or throw rocks down at the attackers. Some early castles had more than one motte. The castles at Lewes and Lincoln both have two mottes. A keep could have been made in the shape of a tower with a couple of floors or could just have been a wooden hall. Most of the early keeps were constructed from wood and were always under threat from fire. A keep built from stone was more secure but was expensive to build and only the richest barons could afford a stone keep. Click the image above to explore a virtual 3d medieval hall keep. View this page on a desktop computer to explore a 3d medieval hall keep. Hall keeps were very common and most Norman barons and Saxon thegns depended on the protection they gave. These hall keeps needed to be large enough to house not only the baron's family, but his supporters and their animals. Inside, the hall keeps looked like large barns with huge posts supporting the roof. A large fire was situated at the centre of the hall away from any wood that could catch alight. The smoke would rise into the rafters and exit through a small hole in the roof above or through a gap at the end of the hall. The primary defences of this type of castle was the ditch, bank and palisade. A ditch was dug around the edge of the bailey and the earth taken out was piled up inside to form the bank. Where possible, the ditch was allowed to fill with water from a nearby river or stream to provide extra defence. On top of the bank a palisade of wooden planks or logs was constructed to add extra height. A wall walk was usually built behind the palisade to allow the defenders to see over the top and fire missiles down on attackers below who were attempting the climb the bank. The palisade continued all the way around the edge of the bailey and its only real threat was from fire. This threat eventually lead to the introduction of stone for building material.